Will I spin? Can I fit in enough fuel? Common questions but hard to find your aircraft weight and balance without groping through the POH, finding points on graphs and trying to erase the old marks. Some say ‘Lets just go’. We say ‘Lets find out easily’ with the FlightByte aircraft weight and balance calculator. Written for Pocket PC, the weight & balance calculator stores data for up to four aircraft and remembers data from last time, so no need to keep entering a full tank of fuel. 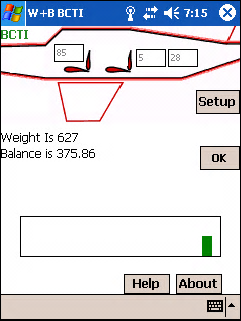 Get an aircraft weight and balance calculator!